Discussion in 'TV on DVD and Blu-ray' started by ChrisCook, Aug 31, 2016.
classictvfan40, bmasters9 and ChrisCook like this. It certainly does! It's great that CBS is giving new life to O-R 1985-92 ABC MacGyver. Oh wow! Now I'm even more excited than I was before! The contrast between those shots is incredible! I have the original DVDs but I am going to upgrade to blu ray. bmasters9 and holtge like this. How do you have the originals-- in the individual seasonals, or in the Complete Collection all-in-one? I remember them being like that at one time. It's great that CBS is giving new life to O-R 1985-92 ABC MacGyver. It's great that it gets the OAR treatment on blu, and yet Charmed, which is also being released by CBS on the same day, has been opened up to wide. An odd choice, since I believe the first season of that show was in 16mm. At least it looked that way. It was awful grainy. 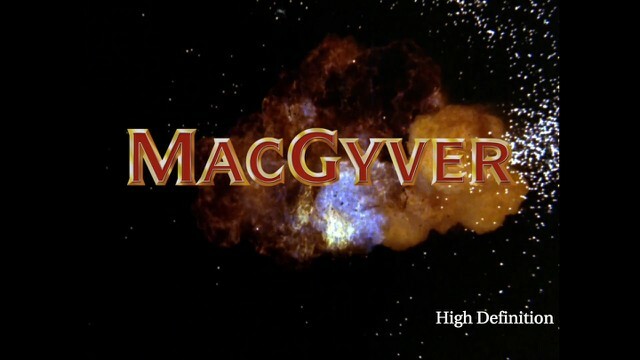 Wasn't McGyver one of the shows shot on film, yet finished on video? I suppose they re-created the credits and some of the effect shots for HD. holtge and bmasters9 like this. Yes, it was shot on 35 mm, but mastered on tape. Luckily, MacGyver never used much visual FX, so it's much less work to remaster than it's for Charmed and other FX-heavy shows. In the trailer, you can see that the blue lasers from the pilot seem to have been recreated and (which is the only thing I totally dislike about this otherwise awesome work) the logo in the opening credits has been replaced with the ugly generic font they've already used for the DVD artwork. If they went through all the trouble to remaster this, they surely could have hired someone to hand-draw something that at least somewhat looks like the original and not so generic. Oh well. Just gonna skip the credits. The SD version is a recent HDTV upscale of the old German tv master (which is a little bit better than the even blurrier US masters they used for the DVDs). I'm very happy with the new version, but yeah, they really could have dug out at least some bonus features if they went back to the original film stock anyway. I am still waiting for my copy. Amazon either didn't get the shipment on time or they sold out what they had. I preordered mine in advance. 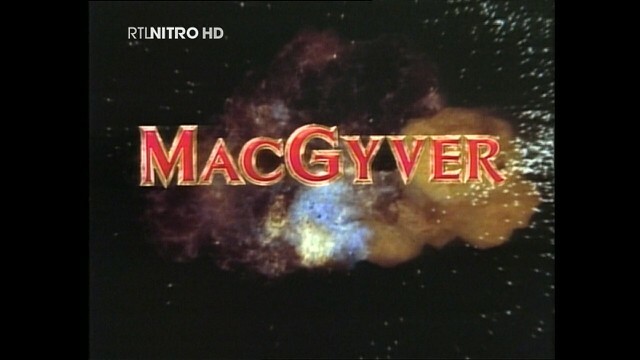 I pre-ordered my copy of MacGyver Season 1 (1985) Blu-ray, it arrived a couple of days ago. I have been waiting for years for a HD release as the original DVDs are terrible. The excitement on the anticipation of this blu-ray release was maddening. I could not be happier with the Blu-ray release, the clarity of the images is amazing. Kudos to the responsible parties for committing to this Blu-ray release. On that note, does anyone have any ideas on when the remainder of the seasons will be released on Blu-ray? holtge, bmasters9 and classictvfan40 like this. Being as you have it, does it have Paramount Television's Blue Mtn. of the time, or the CBSTD logo? Just what I wanted to know! I fully expected these newer Blus of O-R ABC 1985-92 MacGyver to be like that. I got my copy a few days ago and I am pleased with the picture quality of the blu ray. Bumping this up: glad you're enjoying the picture quality here! I think CBS is doing better with this new Blu (despite the lack of original production logos of the time, namely Paramount Television's Blue Mtn.) than they did with the DVDs, and I hope all of O-R 1985-92 ABC MacGyver comes out on Blu (that it's not a one-and-done).